Ramona Oaks RV Park near San Diego is ideally situated for our visitors to step away and experience all the area has to offers. This popular attraction, formerly known as San Diego Wild Animal Park, contains an 1,800 acre wildlife preserve with more than 3,500 animals representing 260 species roaming around. It’s a fascinating visit for the whole family. Castelli Family Vineyards, Correcaminos Vineyard, Eagles Nest Winery and Garcia’s Vineyard and Winery are just a few of the wineries in Ramona. Many of the establishments have tasting areas. From arrival guide: Ramona has emerged as one of California Wine Country’s more popular regions, for numerous winemakers have chosen to establish themselves amongst the town’s hills. 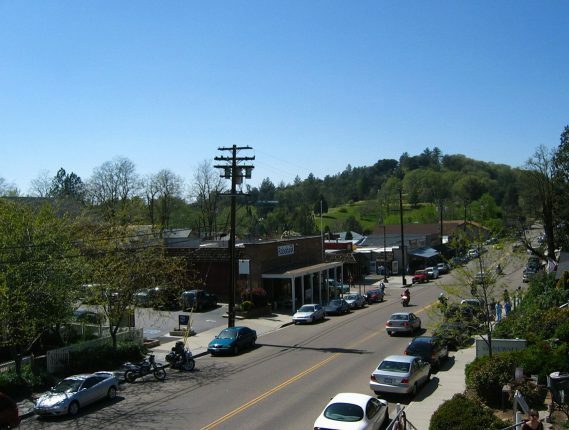 Vineyards pair with the town center, which is rife with restaurants, antique shops, and historic buildings. You’ll find live music at the Main Stage, over a dozen larger than life street murals, an art gallery, an art center and several antique stores all on Main Street in the quaint town of Ramona. Julian is a quaint mountain getaway in the beautiful Cuyamaca mountains. The town is rooted in the 1870s gold rush and buildings from that era still stand. Famous for orchards and apple pies, Julian is a must see town. Enjoy feeding camels at the Oasis Camel Dairy, start your day with fresh eggs from the Pine Hill Egg Ranch or learn about wolves at the California Wolf Center. Several nearby ranches offer pony rides, petting zoos and horseback riding. Bird watchers and hikers delight in the Ramona Grasslands County Preserve, the Barnett Ranch County Preserve and the Santa Ysabel Open Space Preserve. Slots, Video Poker, Blackjack and Roulette- lets go! Plus, there are more than six dining options featured in the 300,000 square foot upscale Barona Resort and Casino. Established in 1818 and dedicated to finding the original bells for the mission, visit and tour the small historical museum at the Santa Ysabel Mission. While you are in the area, stop for a fresh pastry or loaf of bread at Dudley’s Bakery. Head a few minutes down the road for some live music & pizza at Wynola Pizza & Bristo. Other area attractions include apple picking, local hard cider, wines and craft beers. An easy day trip from Ramona Oaks RV Resort, Legoland has more than just lego blocks. Rides, roller coasters, water park and the new “deep sea adventure” all await you in Carlsbad CA. Take the time to visit SeaWorld San Diego. This awe-inspiring oceanarium, and animal theme park, features not only seals, dolphins and whales but also has aquariums, interactive and up close animal encounter as well as thrill rides like roller coasters and water rides. See for yourself how The San Diego Zoo became world-renowned for housing more than 3,700 animals from over 650 species and subspecies. In addition to the zoo, Balboa Park features free Sunday pipe organ concerts at the Spreckels Organ Pavilion plus 17 museums and 12 places to eat! Put on your swimsuit any time of the year and spend the day at one the world-famous San Diego beaches. From lunch at the Hotel Del Coronado to an overnight Deep Sea Fishing Excursions. Or spend a morning on the S.S. Midway and the afternoon on a Ferry Boat Ride. Try a Snorkeling or Kayaking Adventure or checking out city life in Old Town or the Gaslamp District. With culture, dining, shopping, museums and more, San Diego has plenty to do! Watch American thoroughbred horse racing at the Del Mar Fairgrounds in the seaside city of Del Mar, California. Enjoy stadium seating and trackside dining at the second largest horse racing venue in the Western U.S. Not a horse racing fan? Check out the San Diego Fair or catch a Friday night concert instead! 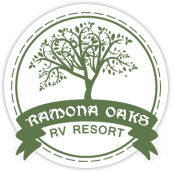 Use Ramona Oaks RV Park as a base to visit all the exciting attractions our area offers!